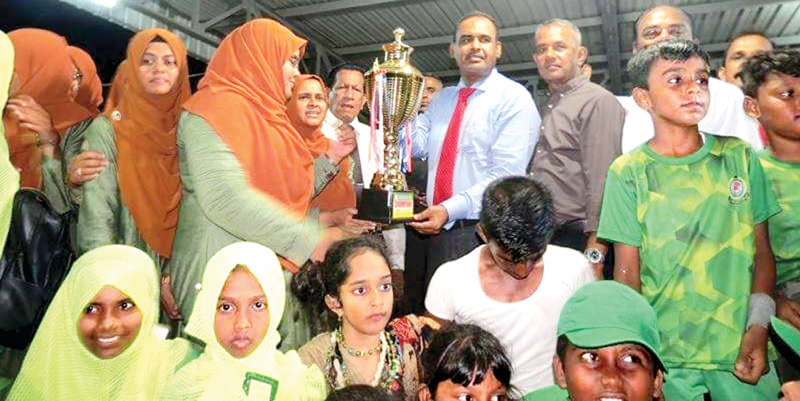 The Annual House Inter House Sports Festival-2019 of C.O.Lesthakir International College in Nintavur organized by its Principal I.M.Issadeen was held at Nintavur Public play ground recently. Overall Sports Championship Trophy was won by Diamond House(Green) with 190.5 points and the Runner-up Trophy was won by Ruby house(Red) with 139 points. The third place was won by Saffair House(Blue) with 138.5 points.